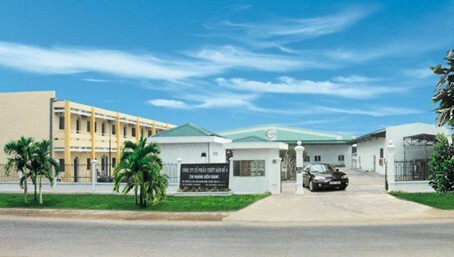 Seafood Joint Stock Company No.4, which had been known as Seafood Processing Import - Export Company No.4 - a member of Seaprodex Viet Nam - was established in 1980 and operated as a joint-stock company from 2001 with more than 30-year experience in business and processing frozen seafood. 320 Hung Phu street, ward 9, dist 8, Ho Chi Minh city. Binh Thanh Industrial Zone , thanh Binh Dist., Dong Thap Province . Area : 30,000.00 M2 and 60 hectares area of the Pangasius Hypophthalmus aquaculture . Frozen Cuttlefish: Soft Cuttlefish Fillet, Cuttlefish Fillet, Squid Cuttlefish Fillet…. Fresh water fishes: Basa fish, Frozen Snake-Head, Clarias fish, Climbing Perch fish, Spiny Goby fish…. Frozen fruit: Corn, Special Longan…. With more than 1,000 skill workers under the guidance of Company Directors ‘s board – include 5 members, and Director Staff – include 5 members. Using frozen technological machine and model equipment trademarks E.U , Japan . The main export markets are : USA, JAPAN, AUSTRALIA, THAILAND, KOREA, MALAYSIA…. EU Code: DL400 , DL 516 . Our company is one of the members of Vietnam Association of Seafood Exporters and Producters ( VASEP ). With the features and regions of material area ( at Ho Chi Minh, Dong Thap and Kien Giang ), our company will try to satisfy and serve almost of growing demand ‘s customers. Our company will be quality, prestige and safe partner for cooperating of customers in the future. On behalf of the whole staff, we thank for interesting and cooperating of valuable customers. NGUYEN VAN LUC – GENERAL DIRECTOR.